The old Woodfin farmhouse in Bollinger Co, MO. 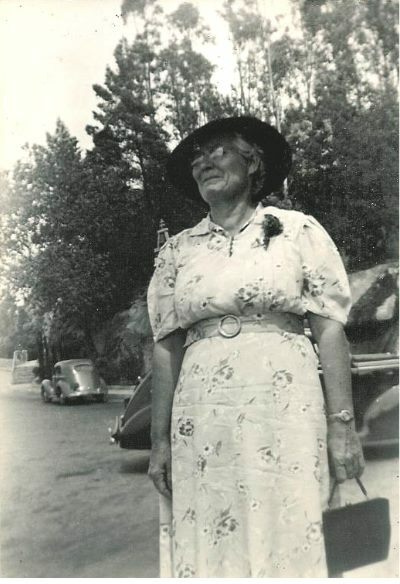 Grace Hawkins, the wife of Isaac T. Mansker, on 4th Street in Yuma Arizona 1941. 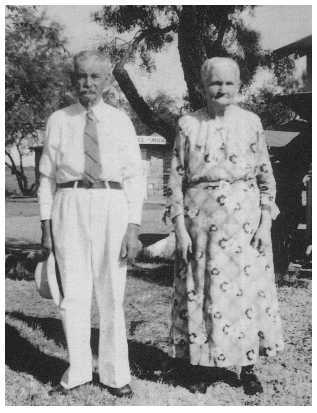 Isaac was the son of Minor Lee Brown Mansker and Rufina Lee, and the grandson of Joseph/Josiah Mansker – see The Texas Manskers. Thanks to Patricia Prosenko for the photo. 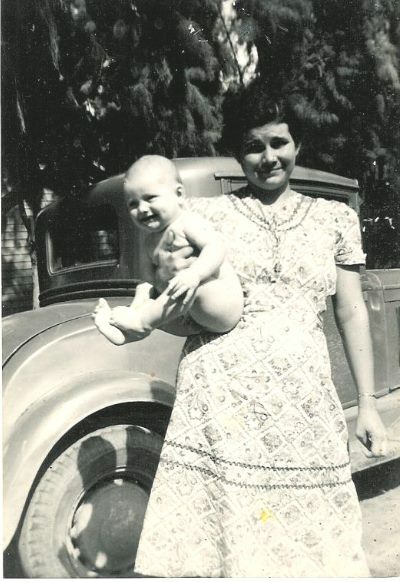 Colleen Jenny Mansker Downing with her son Chuck Downing on 4th Street in Yuma Arizona 1941. 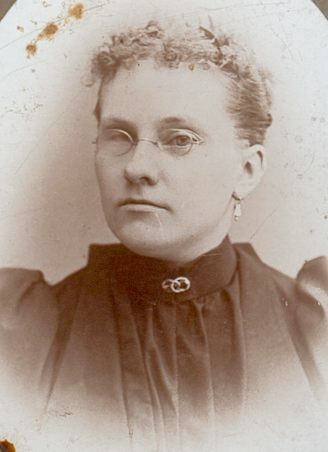 She was the daughter of Isaac Mansker and Grace Hawkins. Isaac was the son of Minor Lee Brown Mansker and Rufina Lee, and the grandson of Joseph/Josiah Mansker – see The Texas Manskers. Thanks to Patricia Prosenko for the photo. The Mansker Sisters, taken June 1980. 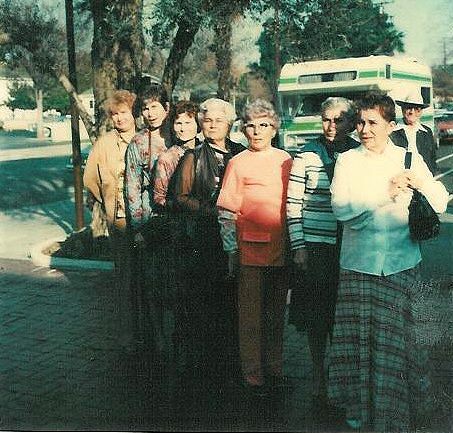 Front to back, youngest to oldest, Inez, Viola, Ethel, Colleen, Ada, June and Katherine Mansker. These were the daughters of Isaac Mansker and Grace Hawkins. Isaac was the son of Minor Lee Brown Mansker and Rufina Lee, and the grandson of Joseph/Josiah Mansker – see The Texas Manskers. Thanks to Patricia Prosenko for the photo. 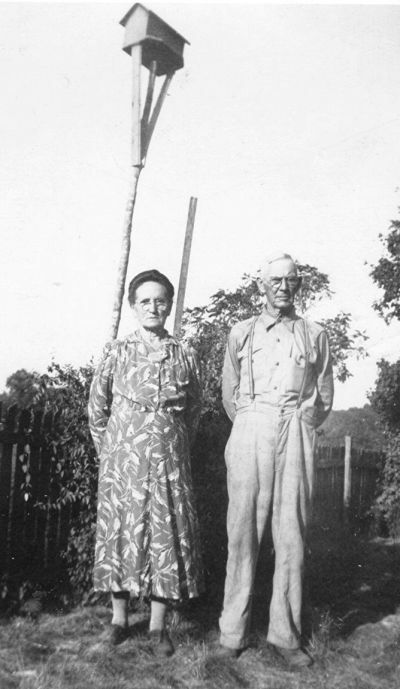 George Washington Mansker was likely the son of Coleman Mansker, grandson of George Mansker Jr., and the great-grandson of George Mansker. He married Mollie Bell Cox, and had children Effie 1891, Glena 1893, Viva 1897, Lesley, Jack and Christine. 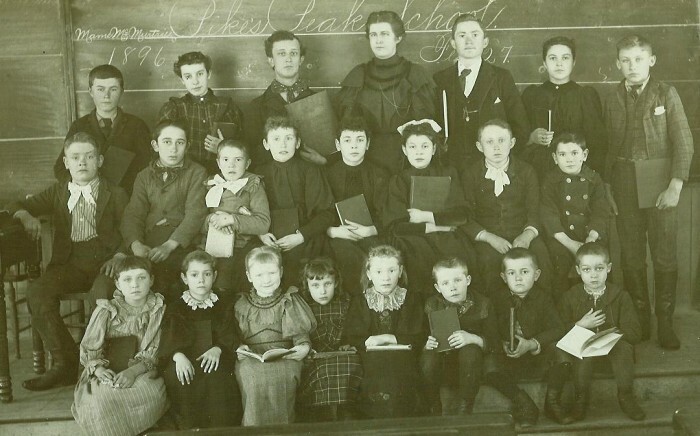 Photo dated 1905. Thanks to Pat Scarborough for the photograph. Many thanks to Susan Woodfin for these photos. This is a cropped detail from the previous photo showing the faces of Rebecca and Jasper..
Rebecca was the daughter of Henry Casper Mansker (who also appears as Henry Andrew Mansker) and Margaret Ellidge, the granddaughter of John G. Mansker, and the great-grandaughter of Lewis Mansker and Betsy Simpkins. Cordelia was the daughter of George Washington Minsker, GD of Moses Minsker, GGD of Ludwig Minsker II and GGGD of Ludwig Mäintzger. Thanks to her grandson, Rod Read, for this photograph. 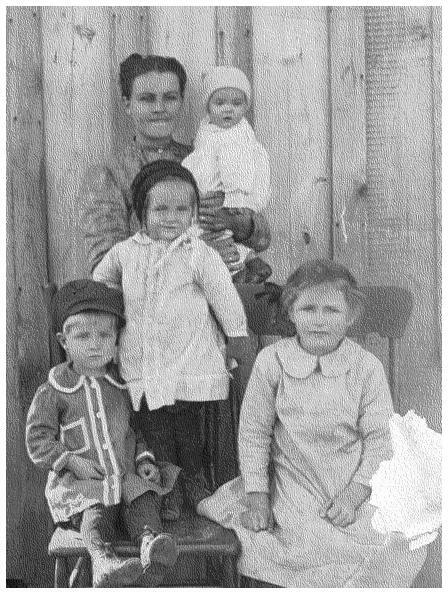 Top row: Alice Minsker Stephenson (1899-1990), Anna Sours Minsker (1878-1953), Ford Minsker (1924-) Bottom row: Marian Minsker Miller (1897-1996), Celia Minsker Groves (1913-1991) Anna was the wife of William Minsker (see 50th anniversary photo). William was the son of Moses Minsker and grandson of Ludwig Minsker III. He was also the brother of John Minsker, who was made famous by Conrad Richter in Valley from the Past. 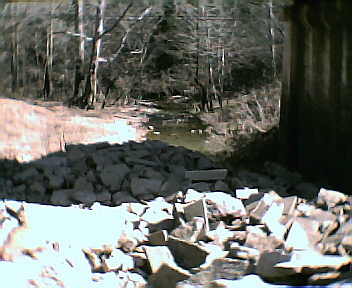 Allen Mansker, Allen Mansker II, and Kathleen Mansker from Missouri standing by the bridge over the creek. 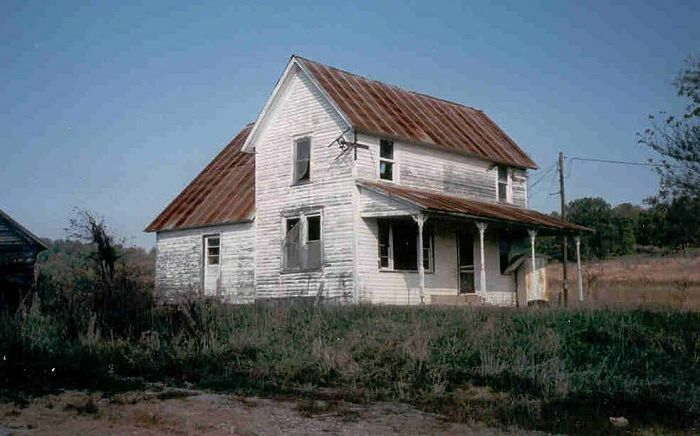 The old Minsker house in Clark's Valley, Pennsylvania, about two miles north of Dauphin. 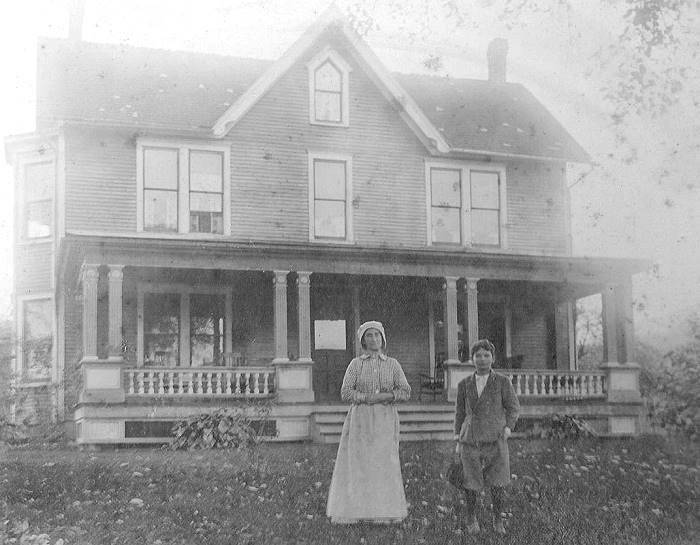 The two individuals are unidentified, but they are likely William Minsker and his mother, Mary Ann Forney Minsker. William was the son of Moses Minsker, and the grandson of Ludwig Minsker III. (see the Descendants of Ludwig Mäintzger page). Photo taken circa 1890. 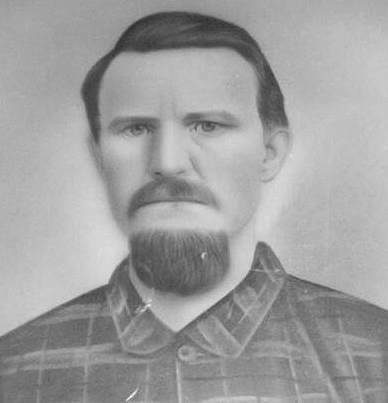 David Moore Mansker was a Civil War veteran and one of the Missing Manskers from the state of Mississippi. Mahalia was the oldest daughter of Joseph William "Blind Bill" Ingram and Rebecca Mansker. The little girl standing next to her has not been identified. 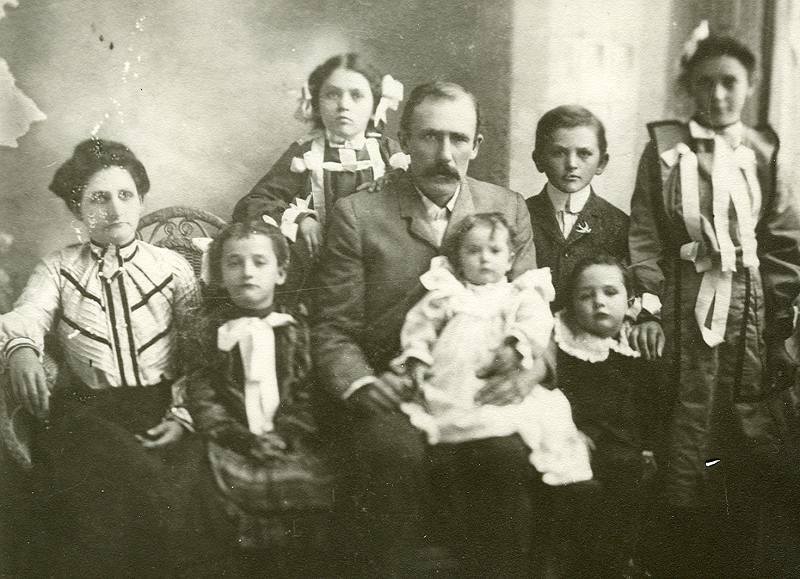 See the Descendants Page) and the 1888 Biographical Sketch of Blind Bill Ingram. "Blind Bill" is on the right. Next to him is his oldest daughter Mahalia Ingram Smith. Leaning on Mahalia is Beula Ingram, daughter of Blind Bill's son, Thomas Ingram. 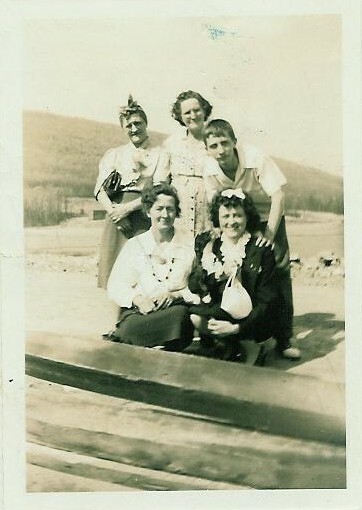 To the left of Beula is Claude F Bradley, father of Dennis Bradley who provided these photos. 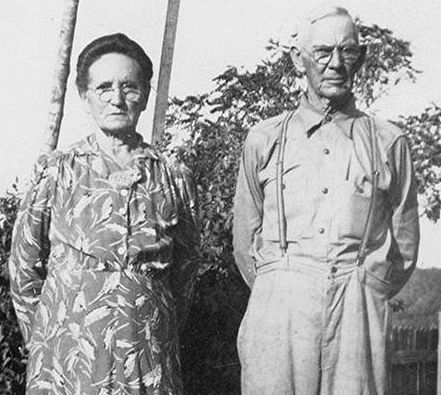 Claude was the grandson of Mahalia Ingram Smith and he raised by her after the death of Claude's mother, Emma. Behind Mahalia is her sister, Martha Ingram Jolly. See the Descendants Page) and the 1888 Biographical Sketch of Blind Bill. 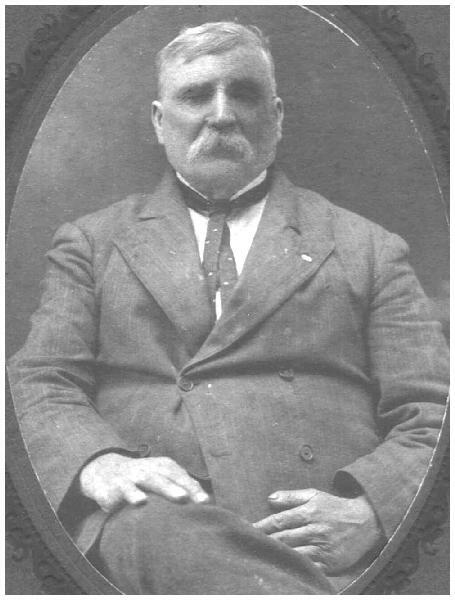 Joseph William "Blind Bill" Ingram (1839-1917), was the son of James P. Ingram and Rebecca Mansker. Rebecca was the daughter of George Mansker Jr. and Elizabeth Cox, and granddaughter of George Mansker, Sr.. Blind Bill married his first cousin, Rebecca Mansker, daugher of John Mansker and Martha Shaver. (See the Descendants Page). See also the 1888 Biographical Sketch of Blind Bill Ingram. 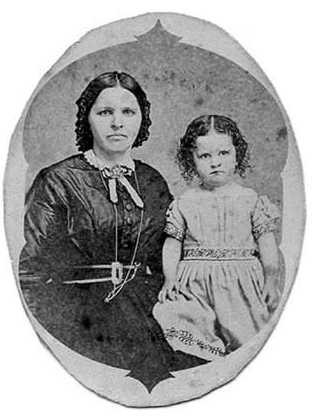 Mary Elizabeth was born on 23 March 1862 in Missouri, the daughter of William J. Mansker and his wife Eliza, who later apparently married a man named Andrews afrter William's death around 1865-1871. William J's parents were either George W. Mansker (son of George Mansker Jr., who died at Fort Towson, Indian Territory in 1836 -- see Manskers at War) and Susannah Lowry(? 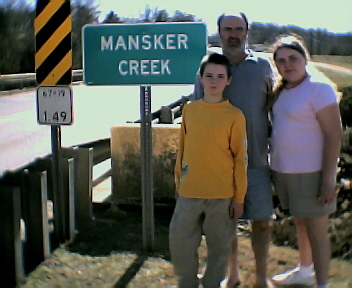 ), or, more likely, John Mansker (also a son of George Mansker Jr.) and Martha Shaver. If anyone can solve this mystery, please email me According to family legend, William J., Mary's father, was killed by Night Riders in his own front yard in Boonesboro, MO. Mary Elizabeth died 7 Aug 1943 in Eastland County, Texas; she is buried in the Eastland Cemetery. It is unclear why she went to Eastland County, except for the fact that she did have some distant relatives living there at the time. Photo taken circa 1940. 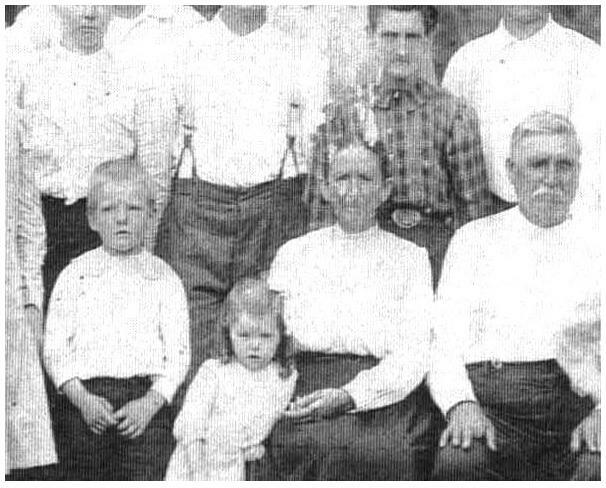 The children of Precious Johnson and Fowler Johnson. Precious was the daughter of George Lofton and Emma Josephine Gilbert; Josephine was the daughter of Nancy Ann Mansker and the granddaughter of William Henry Mansker of Eastland Co., Texas. She married Fowler Johnson The children are Ruth Johnson (daughter of Fowler Johnson and Lula Post), Dirl Johnson, Hazel Johnson and Clarence Darrow Johnson. Precious was the daughter of George Lofton and Emma Josephine Gilbert; Josephine was the daughter of Nancy Ann Mansker and the granddaughter of William Henry Mansker of Eastland Co., Texas. 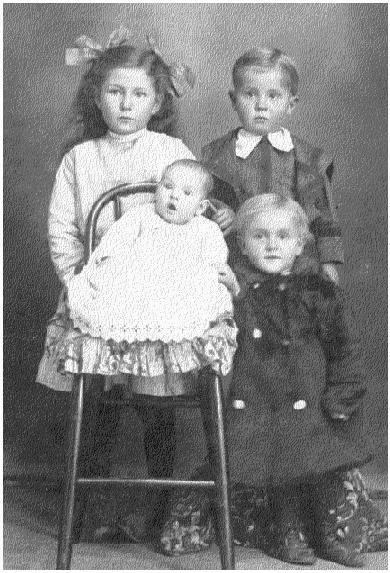 She married Fowler Johnson The children are Hazel Johnson (baby), Clarence Darrow Johnson (standing), Dirl Johnson and Ruth Johnson, daughter of Fowler Johnson and Lula Post. 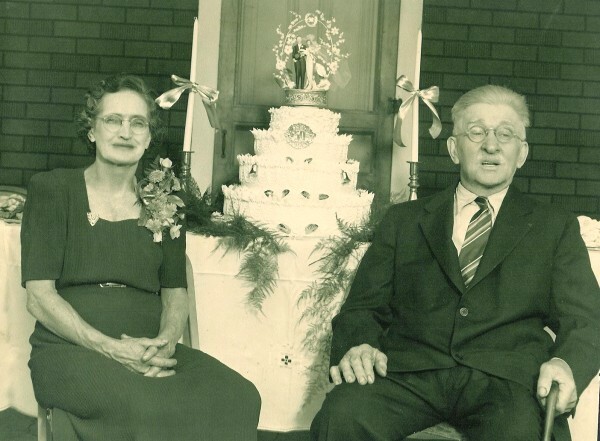 Christina was the daughter of Asa Chandler and Mary Mansker, granddaughter of John Mansker and Mary Shell, and great-granddaughter of George Mansker, Sr.. She married a man named Burrows and moved to Portland, Oregon, where she died. 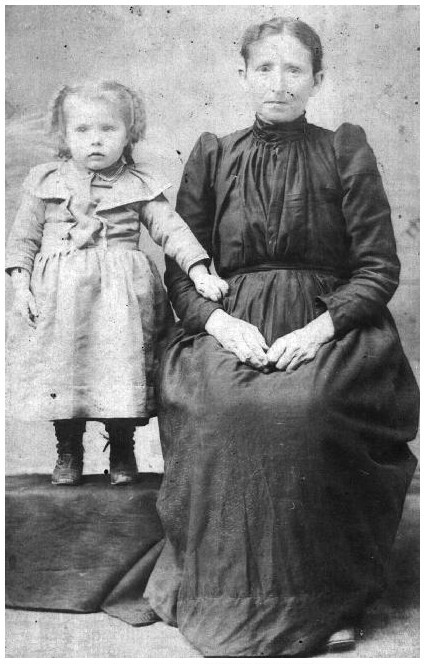 The little girl is possibly her daughter, Emily Oslin Hamilton, born 23 January 1863 in Portland, Oregon See also the African-American Manskers Page. Photo taken circa 1852. Charles was the son of George Casper Chandler (1835-1919) and Caroline Delilah Dameron (1842-1920). George Casper Chandler was the son of Asa Chandler and Mary Mansker, daughter of John Mansker and granddaughter of George Mansker, Sr.. George Chandler was therefore, also a brother to Christina Chandler Front: Harold, Charles Daniel, Mattie (Crouch) Verne Leland Back: Conrad (Harold's son) Edith Cowan (Harold's wife) Bessie, Marvin and Margorie Hartgrave.